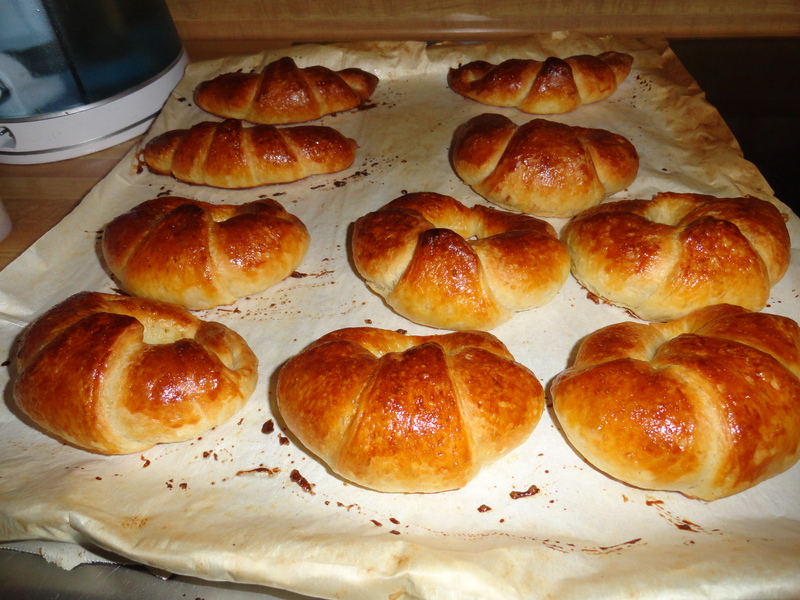 this is my 2nd time making croissants and turned out much better. one of my batches had some of the butter leeking out but still turned out fine. i had them rising in the oven with the light on not such a great idea. Anyways ill post a few pics. 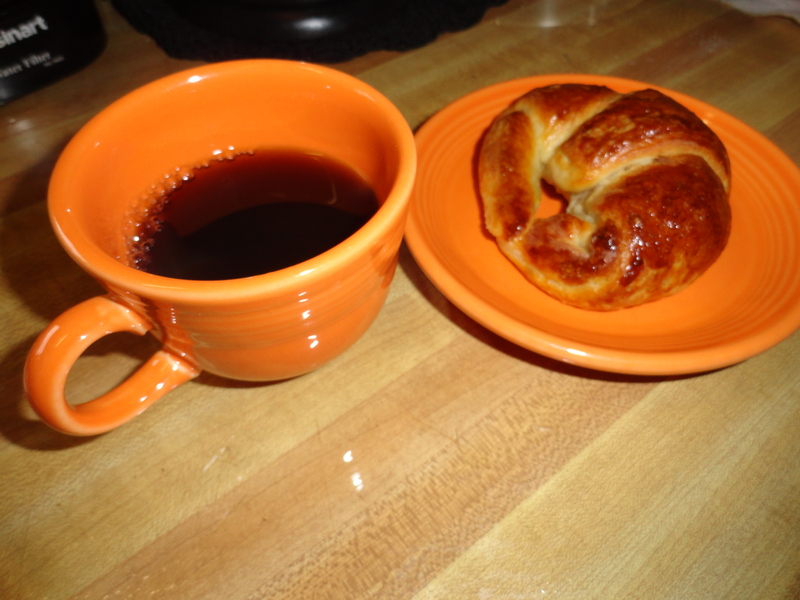 I think the other croissants will have a more balance crumb.The one i cut was the most puffed up. i will let you know later. 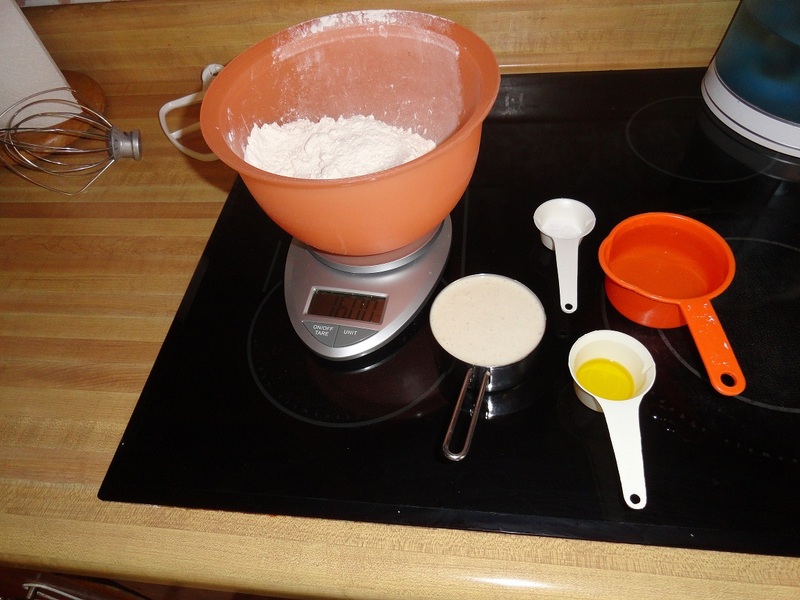 Mix all ingredients except the salt and let the dough autolyse for 20 minutes covered, Then mix for 4 minutes with salt add flour as need. 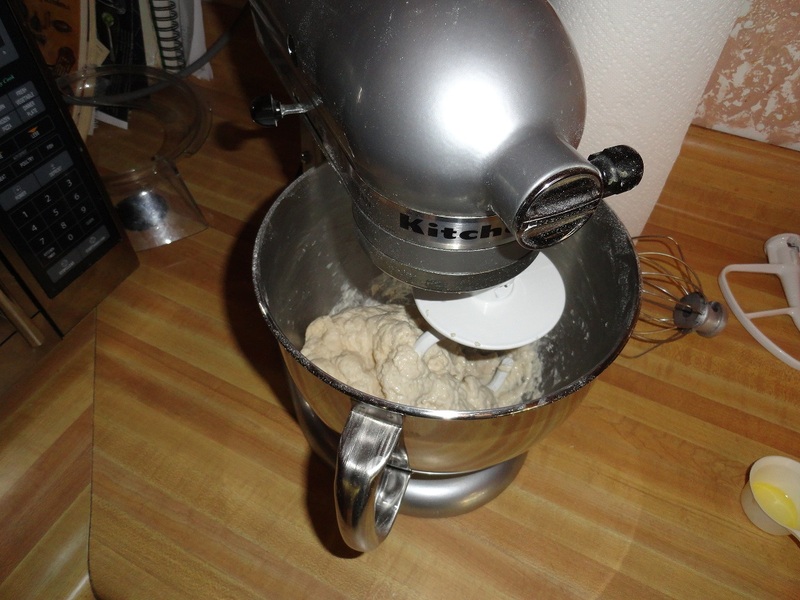 Let the dough rise for 4 hours in the mixing bowl and give the the dough hook two turns while bulk fermenting. i did stretch and fold only because my house was really cold and i put the dough in the oven with the light on for some heat. shape and bake at 375 for around 30-40 minutes. Make it like you would with a normal banana Bread. 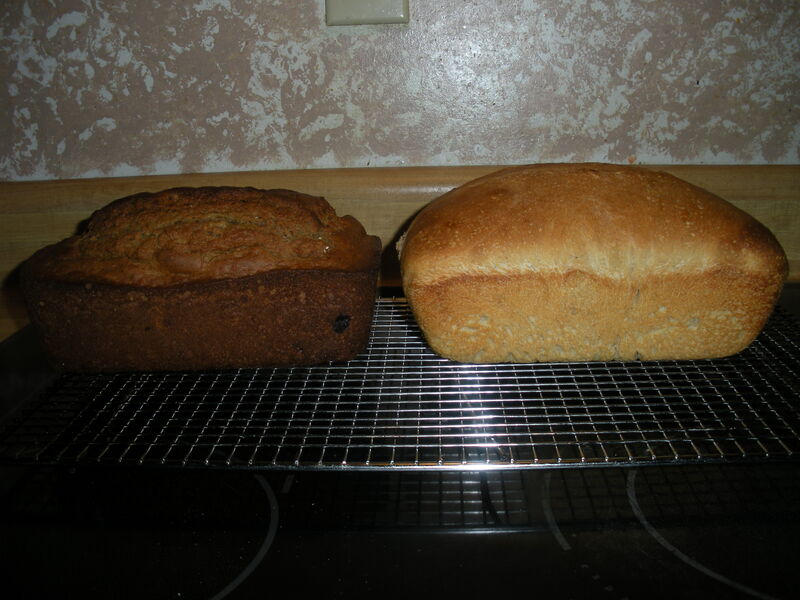 I got these recipes from a book but you can easily change a lot of commercial yeast recipes by just removing the yeast as taking out the same amount of flour and water in you starer. This is not really a bread post but found a new mushroom today and thought i would share. 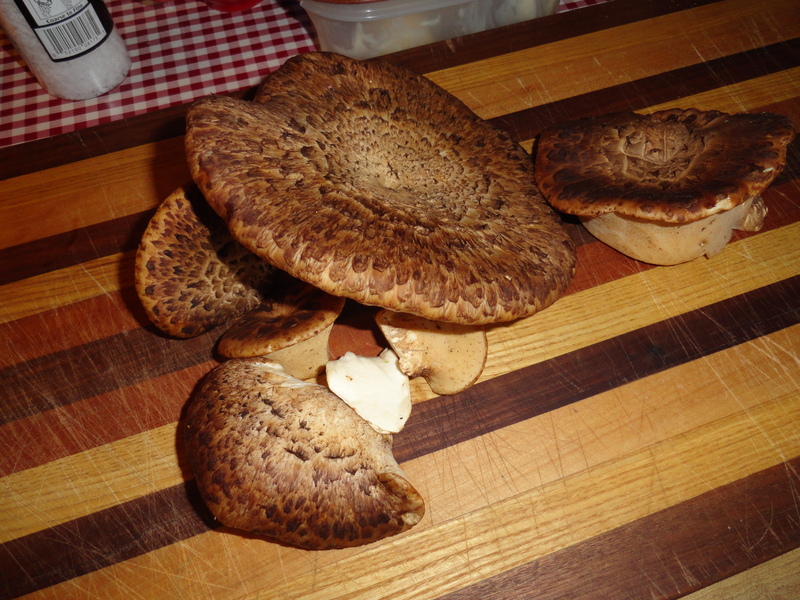 Not really sure what im going to do with it yet most likely cook it with some butter and garlic. This was something i put together at the last minute need more time to bulk ferment but had to get it done for an unplanned dinner, i just did a preferment i fed the starter 5 hours before need more but it was getting later so i put the preferment together any way. When i get up it was 2x in size. Mixed the rest of the ingredients and let it bulk ferment 6 hours. my starter is slow i’m working on a new one. Then i portioned out the dough and folded in the cheese and the walnuts and rise in baskets for almost 5 hours. Then baked with stem steam and a stone. Haha half the cheese was already gone before i go to take a picture of it. i baked off a batch of sourdough croissants this morning still need to work on my laminating and shaping but they turned of fine. i would have took pics of me making them but i didn’t have a working camera at the time, but i took the finished product. this was my own recipe i need a lot more butter for the lamination but i will change it next time. 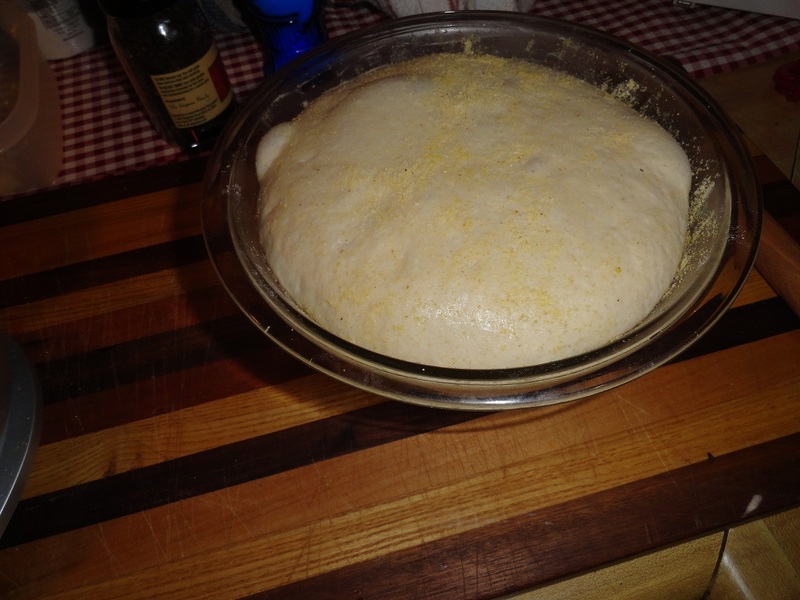 Today there are people coming over so im making a batch of sourdough cheese bread also starting a new sourdough starter and i will post about that later. Thought i would do a basic sourdough with out a stone today. very easy and can be done in a days time. Only thing you wont get as thick of a crust and very little bubbles in you bread without a stone. Just make sure your starter is fed 8 hour before in in the refrigerator so hers the recipe very easy. there is cups measurement but i would buy a scale so you can get exact measurement. Then mix everything excepted the salt till it becomes kind of a soggy mess, Then cover and let it autolyse for 20 minutes it kind of means to let the dough absorb the water and develop gluten before adding salt. After the bulk Ferment is done you want take a glass 9 in bowl and grease and and corn meal the bowl. now it’s time for shaping. 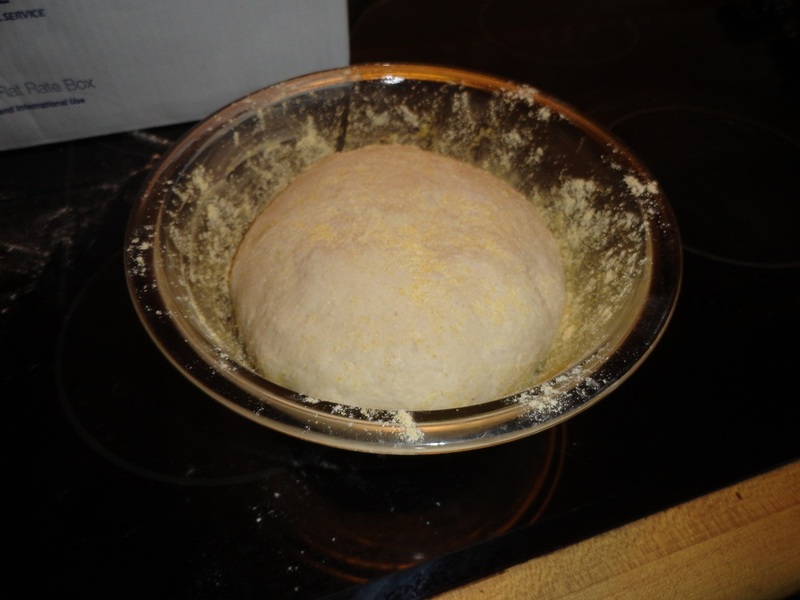 poor the dough on a floured surface and tuck it in to a boule or ball. There are lot of tutorials online about shaping and all that later. let it rise at room temp for 2 hour or more with a warm wet depending on your starter. Make sure to preheat your oven to 450 for 15- 30 minutes before you put the bread in the oven.. slash any way you want i did 3 lines in mine. haha mine went a little longer than i wanted i was trying to finish up dinner. it got a little to bubbly but still worked out. One thing you’ll need is a spry bottle of warm water before you put you bread in the oven so get that ready. Once you put the bread in the oven spry the side of the oven and close, Repeat every 2 minutes 3 times. After 10 minutes turn oven down to 425 a bake for 20 minutes. turn the loaf for even browning.. after that take bread out of the bowl and bake for another 5 minutes till brown on the bottom. it turn out nice a soft with small bobbles and the crust was nice. Not like the artisan bread i normally make with a stone and more steam. Still would be fun for a first time sourdough bread. 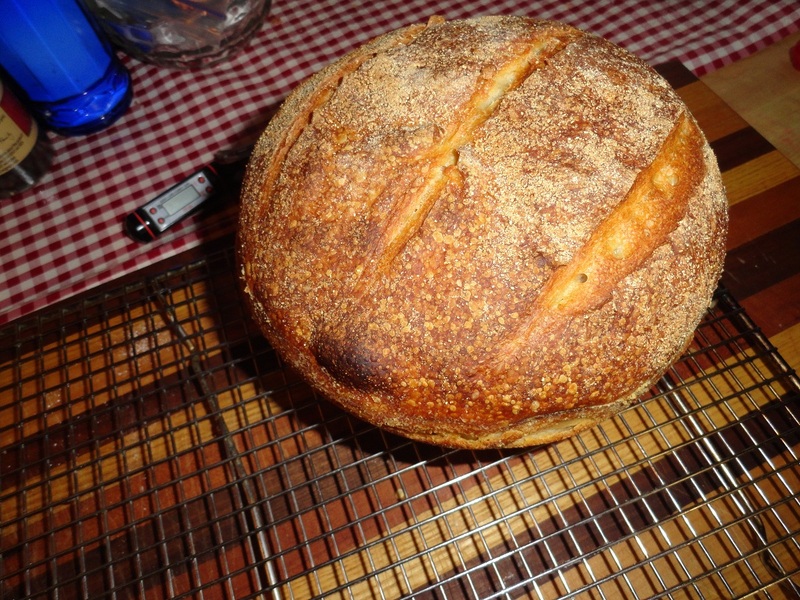 this wasn’t my idea got it from a book call discovering sourdough. 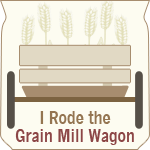 Hello My Name is josh and i live in the small town of Bellefonte pa. this blog is going to be about my adventurers with Artisan bread, food, and my my love for endurance sports. 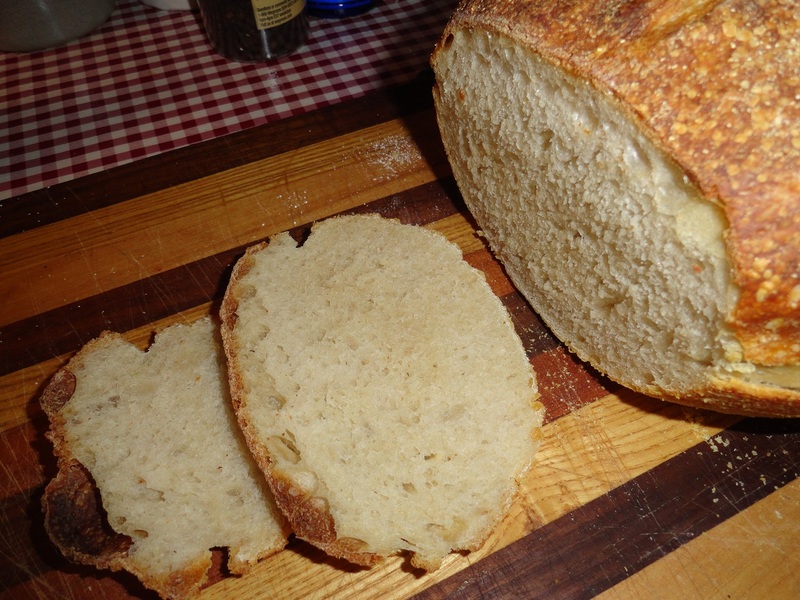 i plan to post my experiments with sourdough from basics to advanced sourdough. Also ill be talking about Triathlon and cycling here and there. Hope you enjoy my blog i will have fun writing about it.